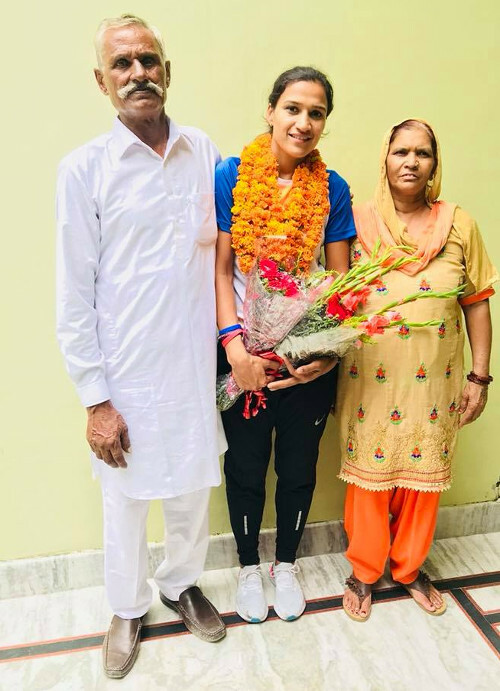 ailing from the small town of Shahabad Markanda in Haryana's Kurukshetra district, Rani Rampal first set foot on the hockey field at the tender age of six. Rani grew up in a humble home where her father worked as a horse-cart puller and sold bricks to make ends meet. The money was never enough to sustain the family of five. She recalls how their kachcha home would often flood during heavy monsoons, as young Rani and her two brothers prayed for the rains to stop. In an exclusive interview with The Better India, she said, "When I expressed my wish to play hockey, neither my parents nor my relatives supported me. My parents come from a humble background and weren't very educated. They did not think sports could be a career path, not for girls at least. Besides, my relatives would often tell my father, 'What will she do playing hockey? She will run around the field wearing a short skirt and bring a bad name to your family'." Rani continues, "The expenses that come with training at an hockey academy, buying a hockey kit or even shoes were beyond what my father could afford. This, coupled with the societal fears of my parents, made it difficult for me to convince them. I pleaded with them, 'Give me one chance, look at me play, then if you think I am doing something wrong, I will stop'." Her constant support during this period of crisis was her coach, Dronacharya Awardee Sardar Baldev Singh. He took her under his wing and started training her at the Shahabad Hockey Academy. Whenever she trained in Chandigadh, he made sure that she lived with his family, where her dietary needs were taken care of by his wife. "He supported and encouraged my hockey dream when nobody else did. From giving me hockey kits to buying shoes, he helped me with everything. When I scored a difficult goal at the academy, he gave me a ₹10 note. He signed it and wrote, 'You are the future of India'. The selection to the Indian hockey team wasn't a cakewalk. Says Rani, "We would train for hours and never miss a single day. Punctuality was foremost. When we turned in late, we would be punished by our coach, who was a strict disciplinarian. Almost nine players from the Academy were in the national team back then. Their stories further pushed us to work hard and prove our merit." Rani scored the winning goal in the Olympic Qualifier which enabled Indian women's hockey to qualify for the 2016 Olympics after a solid 36 years since the 1980 Summer Olympics. Under her captaincy, the Indian team clinched silver at the 2018 Asian Games, finished fourth at the 2018 Commonwealth Games and eighth at the 2018 London World Cup. Rani signs off with a special message for young girls and women: "Women need more self-belief. To women, I say, don't consider yourselves secondary to anyone. Set your own goals and chase them with determination. You can do anything. It is only when we believe in ourselves that others will believe in us." he 28th Sultan Azlan Shah Cup was held in Ipoh, Malaysia, from March 23-30, 2019. Since all the top hockey countries were participating in the Hockey Pro League, it was mainly the Tier II countries that participated in this year's tournament. The top 3 finishers in the previous edition - Australia (gold), England (silver) and Argentina (bronze) all gave the tournament a miss due to their participation in the Pro League. The following countries took part - India (world no. 5), Canada (no. 10), Malaysia (no. 13), South Korea (no. 17), Japan (no. 18) and Poland (no. 21). Azlan Shah Cup organising secretary M. Selvakumaran said: "This is the only tournament in the world which takes care of accommodation, food and transportation for the invited teams. All that the participating teams need to do is pay for their flight tickets and show up with playing gear." Despite these freebies, South Africa which was originally invited, withdrew due to financial reasons. Their hockey federation did not have the money for the players' air fares. Per hockey statistician B. G. Joshi, India's 10-0 victory over Poland was the highest margin of victory in the history of the Azlan Shah tournament, and also India's biggest victory margin over Poland. he only men's invititational hockey tournament in the world in the Sultan Azlan Shah Cup. Held in Ipoh in the Malaysian state of Perak, 28 editions of the tournament have been held so far since the inaugural edition in 1983. The hosts provide food, lodging and transportation, while the invited teams just need to show up with their players. The only junior men's invitational hockey tournament in the world is the Sultan of Johor Cup. Held in Johor Bahru in the Malaysian state of Johor, 8 editions of the u-21 tournament have been held so far. Now per a report in Jugjet's World of Field Hockey, the city of Kota Kinabalu in the Malaysian state of Sabah will host a proposed women's invitational hockey tournament, modelled on the lines of the Sultan Azlan Shah Cup. Newly-elected Sabah Hockey Assocation president Datuk Seri Anil Jeet Singh said in a recent interview that once the synthetic pitches are upgraded in the Kota Kinabalu Sports Complex, the invitational women's tournament will become a reality. The capital city of Kuala Lumpur is the only city to have hosted the Men's Hockey World Cup twice - in 1975 and in 2002. Despite never having medalled in the Olympics, World Cup or Champions Trophy, Malaysia's uniqe association with world hockey has enabled it to successfully organise an annual invitational men's tournament, an annual invitational junior men's tournament and hopefully, an annual invitational women's tournament. he Indian men's hockey team, which went to the 2019 Azlan Shah Cup hockey tournament without an accredited coach, is all set to get a mix of Australian and Indian coaches for this year and beyond. Hockey India has recommended Graham Reid for the chief coach's post to the Sports ministry. The federation officials, along with Indian Olympic Association president Narinder Batra, met Bharatiya Khel Praadhikaran (SAI) director-general Neelam Kapur and executive director (teams division) Radhika Sreeman on March 26, 2019, and proposed the 54-year-old Australian's name as Harendra Singh's successor. Reid played for Australia from 1984-1992, winning Olympic silver (1992-Barcelona), World Cup bronze (1990-Lahore) and four Champions Trophy gold medals (1984, 85, 89, 90). As coach, Reid guided the Australian men's hockey team to two Champions Trophy golds (2012, 2016), Commonwealth Games gold (2014-Glasgow) and Hockey World League Final gold (2015- Raipur). He stepped down as Australian coach after the 2016 Rio Olympics, where Australia lost in the quarter-finals to Netherlands. Reid was most recently the assistant coach of the Netherlands men's hockey team, under head coach Max Caldas. Shivendra Singh is also set to be appointed as the new assistant coach of the Indian men's hockey team. 35-year-old Shivendra, who played for India in the forward line, will work exclusively with the strikers in the Indian side. 33-year-old Chris Ciriello will continue being a part of the coaching team as well. 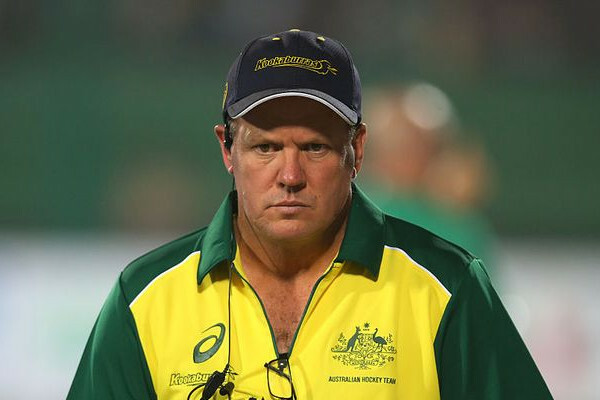 The former Australian drag-flicker was appointed as analytical coach in 2018, and will continue with his role in the team under Reid. 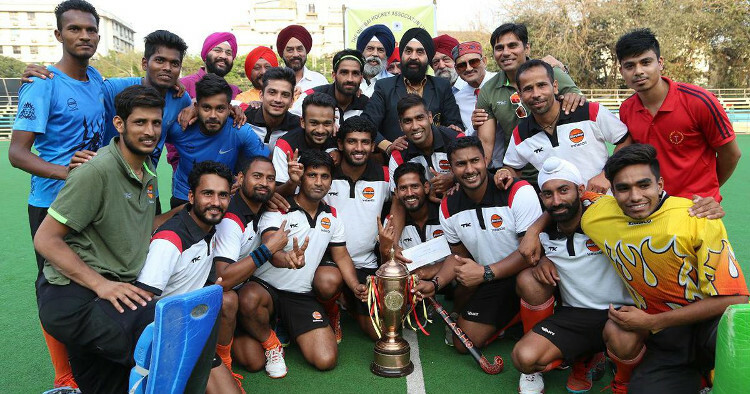 he 53rd Bombay Gold Cup hockey tournament was held at the Mahindra Stadium in Mumbai from March 4-19, 2019. The tournament was played in a 4-quarter format, similar to how international hockey is played. A total of 12 teams participated in the tournament - 5 local and 7 outstation. The teams were divided into four pools of three teams each, with the top two in each pool qualifying for the quarter-finals. Bharat Petroleum's 18-year-old forward Darshan Gavkar was adjudged as the Most Promising Player of the Tournament, and received a cheque of ₹10,000 awarded by the Sports Journalists Association of Mumbai. he Photograph of the Month for April 2019 is more appropriately the Video of the Month. In the Azlan Shah Cup final between India and South Korea, the game was tied 1-1 at regulation, and the final headed for the penalty shootout. 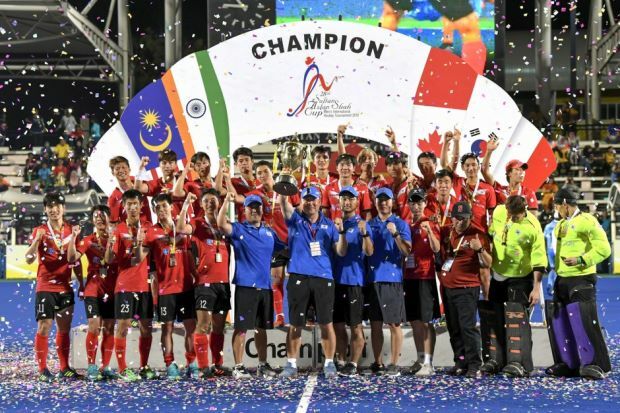 South Korea captain Lee Nam Young produced a moment of pure magic when he lifted the ball up and tipped the ball over the head of young Indian goalkeeper Krishan B Pathak to seal the title for his country. It was an exhibition of breathtaking skill, a no-look goal that required equal parts confidence and audacity to pull it off. With a goal like this, South Korea deserved to win the Azlan Shah Cup title. You can watch the video here. illionaire benefactor Sir Owen Glenn has threatened to withdraw all sports funding in New Zealand following the Tokyo 2020 Olympics. 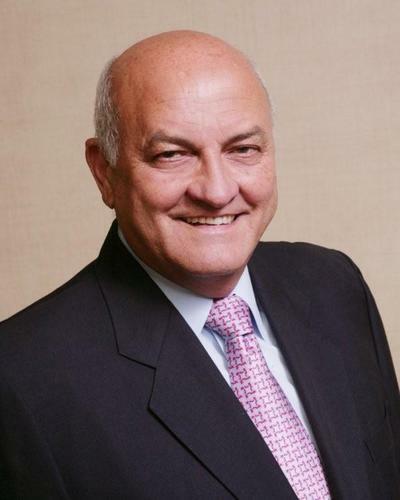 The Auckland businessman, who has comitted $2 million to Hockey New Zealand and $3 million to the New Zealand Olympic Committee, was upset over Hockey New Zealand's refusal to release the full independent review of the Black Sticks women's hockey environment. Hager, who led the Black Sticks to the hockey gold at the 2018 Commonwealth Games, was at the centre of an independent, anonymous review, in which 24 current and past players expressed serious concerns over a "negative" team environment. The review, conducted by Maria Dew QC, also found Hockey NZ had not done enough to ensure player welfare. Hager resigned as the Black Sticks coach in mid-January 2019 to take up the same role with Great Britain. Glenn had originally called for Hockey NZ to be investigated for his funding to continue. But Mark Hager convinced Glenn to end his suspension. "Mark said it's passed, let it go, I don't want to keep fighting," Glenn told NZME. "But all of those Hockey New Zealand people who have apologised are still there." The funding will resume from this month but Glenn said the payments from January and February won't be back-dated. Instead, the money has gone to Hager. "It will allow him four return trips to see his family, who have now settled in New Zealand," Glenn told NZME. Besides the 2018 Commonwealth Games gold, Hager took the Black Sticks to two Olympic fourth-place finishes, one Champions Trophy bronze and two Hockey World League finals. 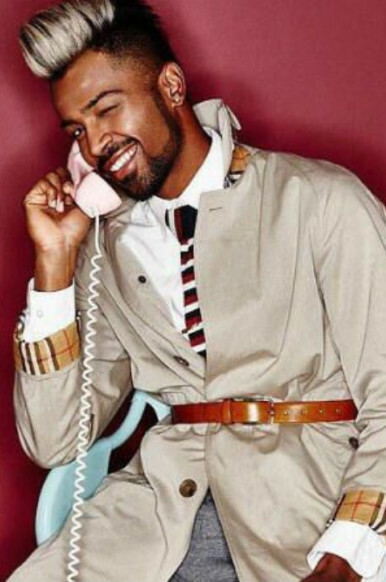 ace the cameras like Virat Kohli, not Hardik Pandya. This was the key tip given to 33 players from the core group of the Indian hockey team by Hockey India at a media training workshop on March 1, 2019 in Bengaluru in the midst of a national camp. The players were given a list of dos and don'ts while talking in public. They were also warned against behaving like Pandya. The flamboyant all-rounder's remarks on women during a TV show in January had triggered a massive controversy and saw him being sent home from the cricket tour of Australia, along with teammate K. L. Rahul. At Hockey India's workshop, the players were shown clips of the talk show in which Pandya and Rahul made remarks that were widely criticised as misogynistic and racist. Hockey team sources said the players were reminded of what is considered sexist and racist behaviour. The players were also shown videos of Kohli's press conference after the defeat to Pakistan in the 2017 Champions Trophy final. The idea, sources said, was to show players how to react after losing an important match. Almost 40 minutes of the 60-minute-session revolved around Pandya's comments. The main lesson put across to the players was to not get provoked or overwhelmed. It was okay to be humorous, but without crossing the line, sources said. This media training has become mandatory for all core probables, including junior and senior men and women hockey players, who are invited to a national camp. 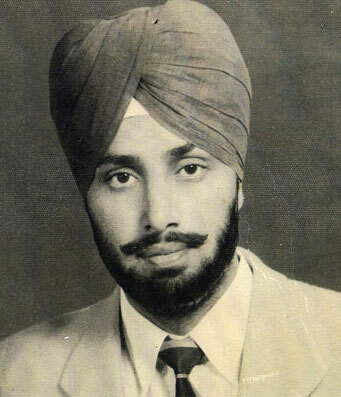 We are looking for the address and contact number/email of family members of Late Shri Bakhshish Singh, who was a member of the Indian Hockey team in the 1956 Melbourne Olympic Games. If anyone has this information, please forward to sportsofficeppa@yahoo.com. Thank you.